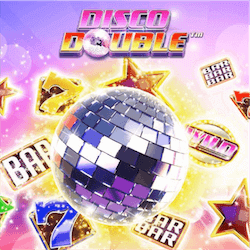 After being revealed a few weeks ago, iSoftBet’s Disco Double slot is finally live. This slot game features a 5 X 3 reel design with 20 paylines. The theme of the game is the groovy 70’s and the soundtrack is suitably fitting. This slot also makes use of classic slot machine symbols like lucky 7’s and Bar symbols. This slot is built on iSoftBet Pulse platform that gives it full integration and compatibility on both desktop and mobile platforms. This could explain the relatively simple design of Disco Double. It works great on the smaller screen of a mobile device. This slot features a 10 000 coin jackpot along with a free spins bonus game. During this round you will receive 10 free spins and if the Mirror ball bonus icon lands on the reels you will receive a 2x multiplier on any wins. With an RTP of over 95%, there is some great rewards to be had here. The game’s disco theme is not very apparent other than with the music and the mirrored disco ball bonus symbol. There could definitely have been a few more themed icons appearing on the reels. Michael Probert, head of Business Development stated that the new slot offers allot of engagement for players. While the soundtrack is great and the game works great on all platforms, it may not be enough to draw new fans. So far many fans have noted this game’s similarity to NetEnt’s Twin Spin. This has brought the game down somewhat as many people expect more originality from iSoftBet. Unfortunately the features currently in place in the slot simply are not enough to make it stand out from its competition. A recent deal with Red Rake Gaming promises to greatly expand the iSoftBet portfolio. 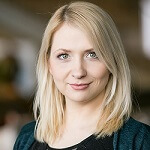 The agreement will lead to an integration of more than 40 titles from the developer’s library of slots and table games. iSoftBet already has a library of over a 1000 games from 30 developers so the release of Disco Double is destined to fade into obscurity with so much competition. That said, this title is a great test of iSoftBet Pulse platform that will strengthen the company’s ability to grow and expand within the industry, which is starting to focus a lot on mobile gaming. Many other companies have seen their mobile gaming divisions grow exponentially and this will be an essential market in the coming years.